Marine Corps watchers paid close attention last week when word spread that the 26th Marine Expeditionary Unit, out of Camp Lejeune, N.C., would deploy to Afghanistan from Navy ships in the Indian Ocean. That leads to additional questions, though, starting with the most obvious one: Where? Maj. Gen. Richard Mills, commander of Marine forces in Afghanistan, shed some light on his plans for the unit in this video posted online by the Corps on Friday. “Our intent is to use this unit, again, to exploit the successes we’ve had to finish off some very crucial projects that we’ve been developing and to take on some areas of enemy strength that we’ve been unable to address because of the forces that we have at our disposal,” Mills said. In a statement released by U.S. Central Command, Mills said the MEU’s arrival would “enhance our ability to clear and hold in the upper Gereshk Valley.” Much like Sangin a year ago, it’s an area that rarely has entered the conversation when Afghanistan is discussed in the U.S. because it has fallen under European troops. The troops interviewed here are pretty upbeat about what they’ve seen, but the area has had its problems. A Danish soldier was killed by an IED last week, for example. 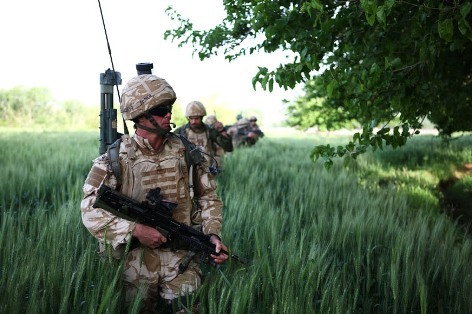 The upper Gereshk Valley appears more volatile: Irish Guards dealt with a machine-gun nest and possible snipers last week, according to this embedded media report by The Sun of London. Another embedded report says they’ve been ambushed with rocket-propelled grenades, machine guns and IEDs. In other words, it could be business as usual for the 26th MEU if that’s indeed where they are headed. And once again, an American Marine unit will be pitching in where the British have been operating. Informative post keep up the good work people! Whats the link to your RSS feed?